Yu Chengyao was born in 1898 in Fujian, set aside his brush at an early age to join the National Revolutionary Army, and rose to become a General during the Sino-Japanese war. 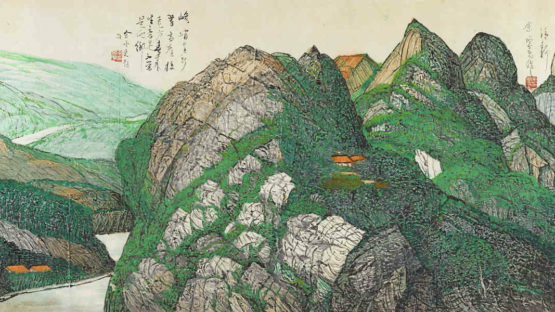 At the age of fifty-six in 1954, Yu created his first painting; he drew upon topographical knowledge from his military days, and painted nostalgic memories of China’s majestic landscapes in a realistic style. Inspired by his extensive travels, Yu looked to nature as his teacher.